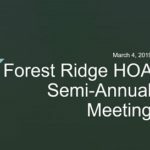 The Forest Ridge Association – Welcome Home to the Forest Ridge Community of Dayton and Riverside, Ohio! 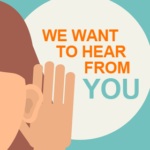 The Forest Ridge Communications Committee has created a survey to help us understand the best ways to connect with all our residents, as well as getting an idea of what’s important to you. The survey is included in the April Murmurs, and will also be mailed out to all households. If you don’t want to wait, you can fill out the survey online right now! 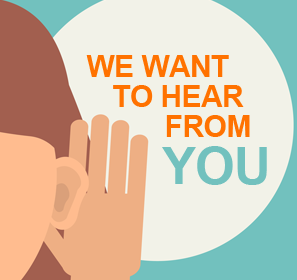 It takes about 3 minutes, and your feedback will be very useful! 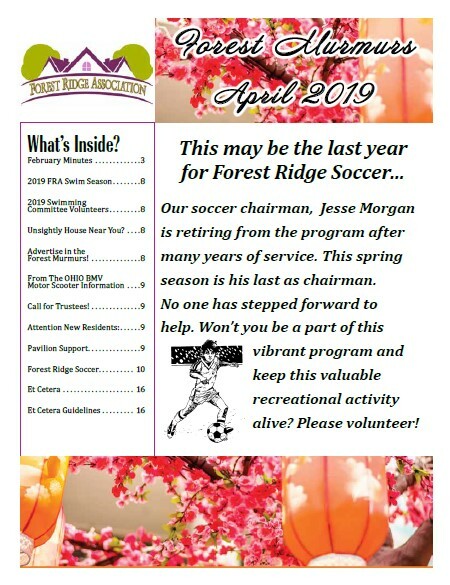 Published ten times a year, the Forest Ridge April 2019 Murmurs neighborhood newsletter has valuable information to inform neighbors of association business, upcoming social events, activities, and youth sports opportunities. 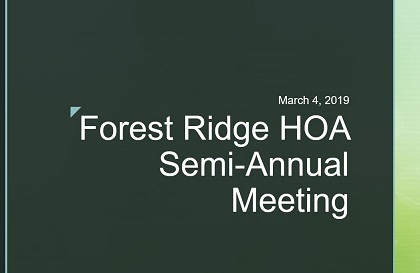 A great March meeting for the organization, covering the new meeting format, the Assessment calculation for this year and Ohio State Law 5312. Our thanks to all the residents that attended and participated! For everyone’s reference, here are the slides used during the meeting. 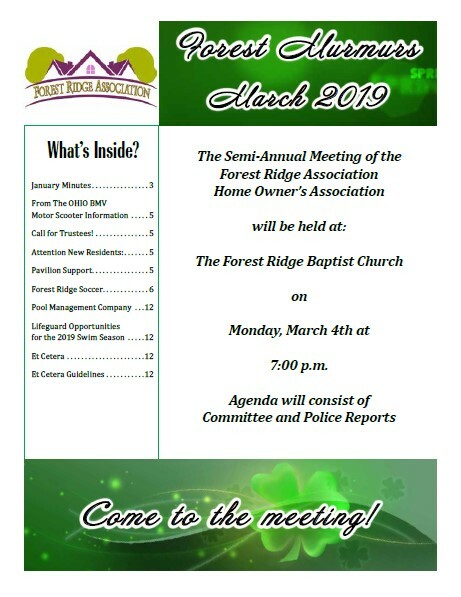 Published ten times a year, the Forest Ridge March 2019 Murmurs neighborhood newsletter has valuable information to inform neighbors of association business, upcoming social events, activities, and youth sports opportunities. 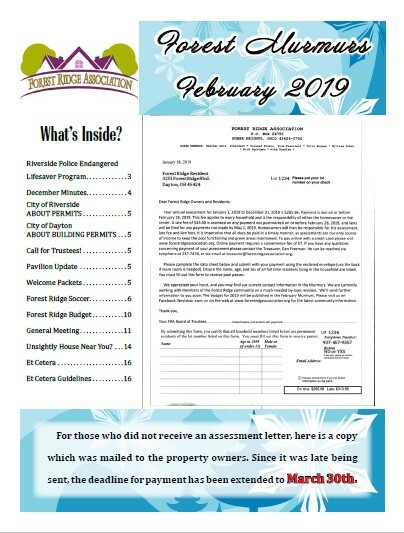 Published ten times a year, the Forest Ridge February 2019 Murmurs neighborhood newsletter has valuable information to inform neighbors of association business, upcoming social events, activities, and youth sports opportunities.